Since the founding of Mama Cash in 1983, groups challenging the heterosexual norm have always received Mama Cash’s priority attention. In the Netherlands during the 1970s and the 1980s, there was a lively activist lesbian subculture. Many lesbians were at the forefront of the women’s movement, fighting violence against women, fighting for abortion rights and freedom of sexual choice. From the beginning Mama Cash supported lesbian activism. In the Netherlands, Mama Cash mainly funded the lively lesbian subculture, like theatre, magazines, archives, pink film days and travelling exhibitions about and for lesbian women. She also supported initiatives focusing on older lesbians. 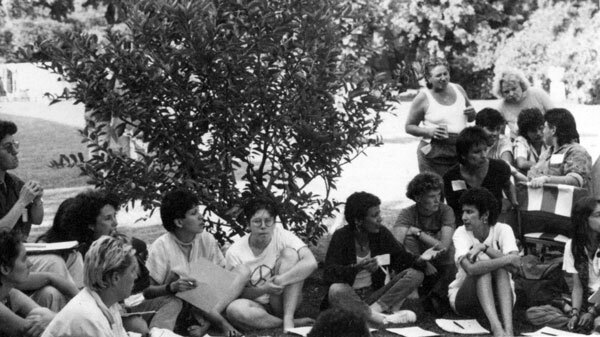 In 1989 the first grant was given to a lesbian rights group abroad: ŠKUC-LL, in Slovenia. It was the beginning of a commitment to significant and consistent support of lesbian rights groups and movements worldwide, which continues into the present. The recognition of the human rights of lesbians and bisexual women is far from assured. 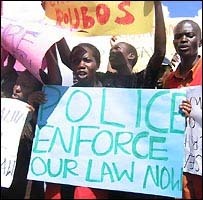 The policing of sexuality is a major force behind continuing gender-based violence and gender inequality. Many states, societies, communities and families impose gender and sexual orientation norms on individuals through law and custom. While women and girls often depend on their families and have a symbolic role of bearers of family or community ‘honour’, all women, including lesbians and bisexual women, are supposed to comply with norms about ‘appropriate’ behaviour. They face repercussions if they do not, such as rejection by their families and communities, ‘corrective’ violence by family members, strangers, and those who are supposed to enforce the law, forced marriage, and denial of the right to organise and speak out. These violations are mainly invisible and are not recognised or addressed by society. The effect is that lesbians and bisexual women often do not dare to ‘come out’ and live their lives in secrecy and isolation. While creating safe spaces, building community and a movement are extremely important for lesbians and bisexual women, invisibility and isolation form substantial hurdles in organising. Additionally, their organisations are threatened to be banned by authorities, declared illegal or are raided by the police. The rise of religious and political extremism makes it increasingly difficult for lesbian groups in countries ranging from Uganda to Ukraine, from the Philippines to Serbia, to organise and do their work. Lesbian groups around the world are trying to find allies in feminist movements, the lesbian, gay, bisexual and transgender (LGBT) movements and human rights movements. And increasingly in the anti-censorship movements that are emerging in response to growing repression in countries like the post-Soviet states and Africa. Lesbians and bisexual women are challenging these movements to include them and their issues. In many women’s movements being lesbian and openly discussing sexuality and one’s sexual orientation apparently remains a sensitive matter. Lesbians are not always welcomed and that is why the roles of lesbian women within feminist movements vary strongly across regions. Also, lesbian women are often marginalised by LBGT movements, in which men are usually more visible and active. Despite not being openly welcomed everywhere, lesbians in various regions and countries in the world are making huge advances in taking up leadership and changing agendas in the various movements. Lesbian activists have played, and continue to play, significant roles in the struggle for abortion rights, anti-discrimination legislation, and equality in marriage and partnership rights. Mama Cash has supported lesbian groups in Eastern as well as Western Europe throughout the years to start their organisations, build and support networks of lesbians and bisexual women, create safe spaces for girls and women of all ages, and engage in advocacy for justice and equal rights. A particularly strong lesbian feminist movement has developed in South East Europe. Mama Cash supported lesbian groups in the former Yugoslav countries where lesbians play a key role in the building of the feminist movements and are taking up leadership roles in the LGBT movements. 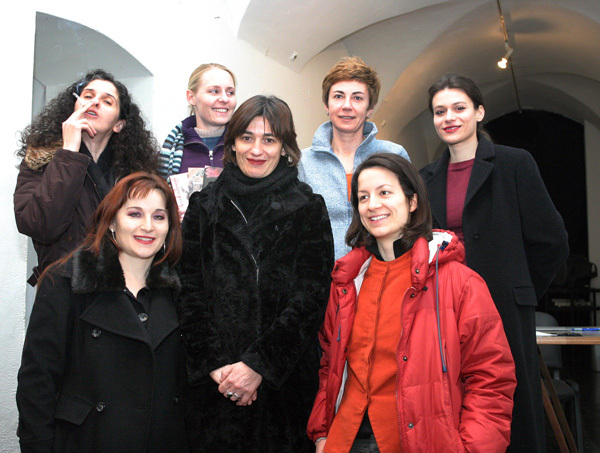 Grantees in the new millennium include Labris Belgrade, Novi Sad Lesbian Organisation and Rromnjako Ilo, a lesbian rights group formed by Roma women, all in Serbia. And in Croatia Mama Cash supported the groups Lori and Kontra. Young lesbian feminists also organise within the queer movements, and Mama Cash supported Queer Beograd and the SEE Q Network, a queer feminist network covering South East Europe. In the new millennium lesbians from countries from the Commomwealth of Independent States (former Soviet republics) started to organise. Mama Cash provided support in Ukraine to the mixed lesbian and gay organization Nash Mir for their activities for lesbians and bisexual women, and also to Insight, a feminist group formed by lesbians, bisexual women and ‘gender non-conforming feminists.’ Mama Cash gave grants to Labrys Kyrgyzstan, the first lesbian, gay and transgender organisation in Central Asia and the Women’s Initiative Supporting Group in Georgia, which fights violence against lesbians and bisexual women. Recently, new initiatives by queer feminists are being founded and queer women are taking up a central place in the building of a renewed and young feminist movement in the diverse countries. 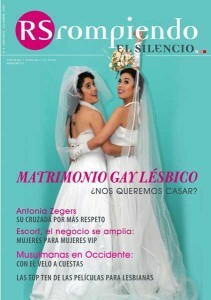 In Latin America, specifically in Mexico, Brazil and Peru, lesbian groups have been active since the 1970s. They have been fighting for their human rights for decades, despite discrimination and exclusion on all fronts, even from within the women’s movements. In the 1990’s, large conferences by and for lesbian women were organised throughout Latin America and a powerful and dynamic movement of lesbian feminists emerged. Lesbian, trans and other feminist groups, many of them supported by Mama Cash, are working together in alliances, strongly influencing the character of the feminist movements in the region. Since the mid-90s, Mama Cash has supported a large number of groups in Latin America. For example, the Brazilian Coletivo de Feministas Lésbicas received money to organise a meeting of local lesbian women, and Machada Coelho from Brazil got a grant to conduct research into lesbian women’s experiences with gynecologists. Culture and art have always been important vehicles for building lesbian movements, one of the groups that received a grant is the Mexican group Nocturnal-les for the publication of lesbian poetry. In the new millennium Mama Cash supported the Chilean periodical Rompiendo el Silencio (Breaking the Silence), the country’s first lesbian magazine and Desalambrando in Argentina, a group that addresses violence between women living in intimate relationships. In Africa, lesbian sexuality remains taboo in the eyes of many feminists. Lesbian women are often excluded from mainstream women’s movements, or are confronted with discrimination within their activist communities. In many African countries, it is safer for lesbian women to organise within mixed gay and lesbian groups, so Mama Cash has supported women who are involved in mixed initiatives. The Rainbow Project, for instance, received funding in 1999 to organise a Gay and Lesbian Awareness Week in Namibia. The National Coalition for Gay and Lesbian Equality also received support for the organisation of the International Gay and Lesbian Association World Conference that took place in South Africa the same year. After the turn of the millennium grant making shifted towards autonomously organised groups of lesbian and bisexual women, specifically organisations based in Eastern and Southern Africa. Mama Cash funded the Gunyaki Lesbian Development Group in Kenya to organise meetings and training sessions for lesbian women, as well as the publication of a magazine. Mama Cash has also supported feminist platforms, such as the African Feminist Forum, that welcome a diversity of women and have an explicit political position in support of sexual rights. Mama Cash also gave financial support to the Coalition of African Lesbians, a group of African lesbian feminists that is building alliances across movements in Africa. 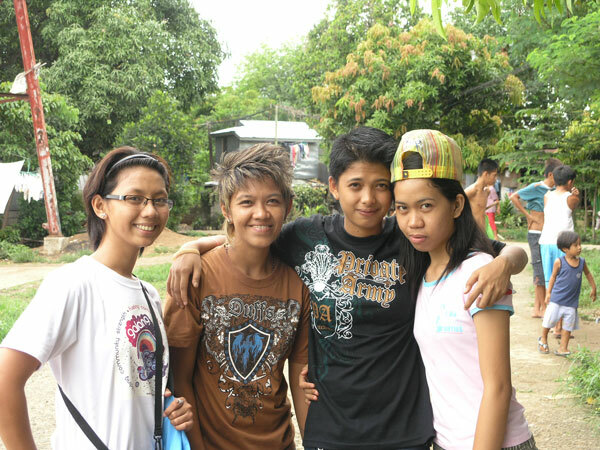 In Asia lesbian groups were, and still are, not always welcomed in women’s movements. From the 1990s onward lesbian groups and initiatives began to form in many of the countries all over Asia, with a strong lesbian movement in India and many ground-breaking initiatives in other countries such as the Philippines and Indonesia. One of the greatest strengths of Asian lesbian organising is the continuous growth of national and international networking. After 2000, Mama Cash gave grants to the Philippino group Gay and Lesbian Activist Network for Gender Equality, GALANG, that works to raise the self-esteem of lesbians, bisexual women and transgender people from the slums of Manilla by building their knowledge about discrimination and human rights. (watch video) GALANG also created a comic book starring Pamboy, a contemporary heroine who has lesbian feelings. Mama Cash also gave grants to the Lala Alliance, which is made up of lesbian groups in Taiwan, Hong Kong and China, including the Chinese lesbian group Common Language.